Did The “Uncanny Valley” Kill Disney’s CGI Company? In the days of increasingly powerful CGI, movie makers have to be savvy about making characters that aren’t too realistic. About a year ago, Walt Disney Studios chairman Rich Ross did something noble, true and just — not something that Hollywood executives do very often. He closed a production company called ImageMovers Digital, which, under the sinister vision of Robert Zemeckis, had specialized in using motion-capture technology to create family-friendly animated fare foist freakish, zombie-infested abominations like The Polar Express and A Christmas Carol on moviegoers. According to the New York Times, Ross pulled the trigger after seeing early footage from an Imagemovers film that his predecessor had greenlit called Mars Needs Moms. The studio was in too deep at that point to scrap the film, but Ross knew that enough was enough: Disney wouldn’t be in the corpse-animating business anymore. Not under his watch. The closer you get to “more human than human” without actually getting there, the deeper into the “valley” your character design falls. 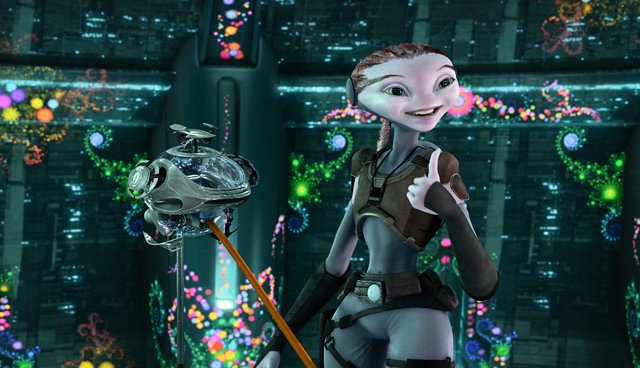 And what’s true for robots holds true for animated characters, too. 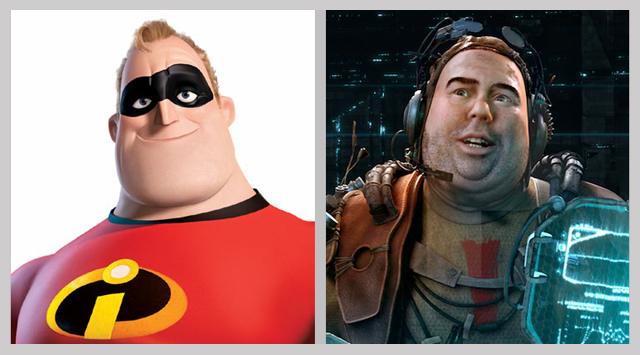 Sure, the script of “The Incredibles” was probably much better than “Mars Needs Moms”; but on a basic gut level, which kind of simulated human would you rather stare at for two hours? And that’s why realism-fetishizing technology like motion capture is much more susceptible to creeping us out than more “primitive” or stylized animation: it’s only when you’re purporting to offer that level of detail in the first place that you can totally, utterly screw it up. And once you’re in that uncanny valley, incremental improvements to skin reflectivity, eye movement, or other “realistic” details simply don’t matter. It’s either 100% perfect or it’s repulsive. In fact, this all-or-nothing aspect has led Tinwell to describe it as an uncanny wall that may never be scaled even as technology continues to advance, just like the runner in Zeno’s paradox never catches up to the tortoise in front of him. In video games, the problem is still there but much less dangerous — after all, the fact that Niko Bellic moves and emotes with all the grace of an Xtranormal character didn’t stop millions of players from buying and loving Grand Theft Auto IV. Maybe that’s because video game avatars are essentially more like toys or tools than “characters” in films, whom we’re supposed to relate to as people. Tinwell notes, intriguingly, that the uncanny valley can actually become a powerful tool in the hands of a savvy game designer: after all, plenty of games (especially in the sci-fi or horror genre) require avatar interactions that are supposed to creep you out. In the end, like most problems that designers grapple with, the uncanny valley isn’t an objectively “good” or “bad” thing. It’s just there, whether we like it or not. And companies and designers who ignore it risk falling into a hole they may not be able to climb out of.